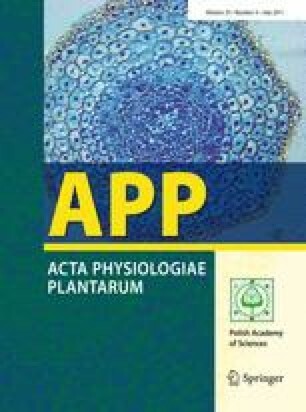 This study is a comparison of four methods to induce calli formation in a protoplast culture of Chrysanthemum indicum. Culture in liquid medium (17.6 calli/105 protoplasts) was preferable to culture in solid agarose beads, although the efficiency of the latter could be improved by layering them on glass beads (12.5 vs. 0.83 calli/105 protoplasts). Culture of protoplasts on moistened filter paper was unsuccessful. In the liquid media, microcalli and calli were induced efficiently and easily after 6 weeks. These effects may be explained by reduced toxicity due to cell breakdown and improved aeration. The authors wish to thank Ronald Van Den Oord for his technical assistance.